Introducing Battle Bunkerz, the first toy system that lets Blaster fans create and customize their own battlefield. No longer do you have to take cover from darts behind kitchen tables or basement couches. Transform any environment (indoor or outdoor) into a life like Battlezone in a matter of minutes. 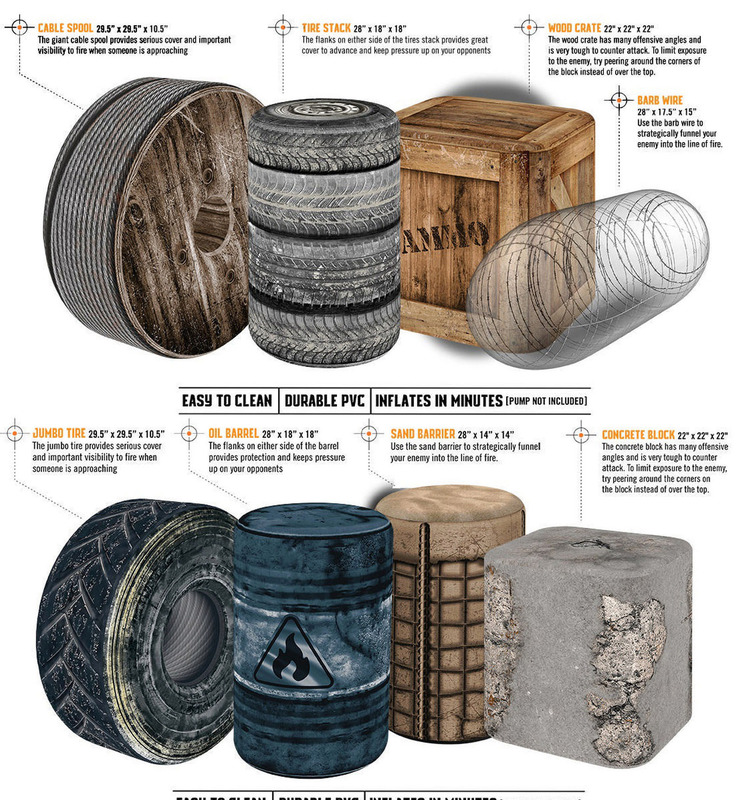 Transform your backyard into an inflatable game field with wood crates, oil barrels, Jumbo tires, sand barriers, barbed wire, concrete blocks, cable spools and tire stacks. Battle Bunkerz are Ideal for dart blaster play, laser tag, arrow tag and water fights. Stack Bunkerz together for more cover. Ideal game play like capture the flag (flags not included).